Ostriches can tolerate a wide range of extreme temperatures. Their legs can only kick forward , with their acute hearing and eyesight, they can sense their predator from a very far distance. 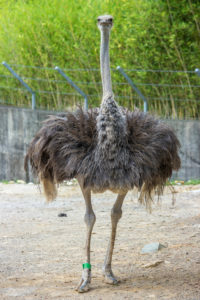 Ostriches are farmed around the world, particularly only for it’s feathers; which are very much so decorative and are commonly used for feather dusters.